Police say their encounter with Augustus began when they suspected that he was carrying a gun in his waistband. Tensions are mounting in Chicago after an officer fatally shot an armed black man Saturday evening. 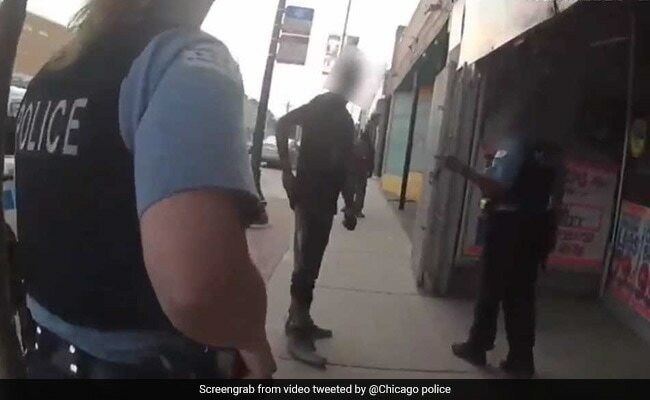 The Chicago Police Department said an officer fired at 37-year-old Harith Augustus about 5:31 p.m. when Augustus reached for his weapon. Police say their encounter with Augustus began when they suspected that he was carrying a gun in his waistband. "When they approached him, he tried to push their hands away," Patrol Chief Fred Waller told reporters. "He started flailing and swinging away, trying to make his escape. And as he was making his escape, reached for his weapon." Police spokesman Anthony Guglielmi said body-camera footage shows Augustus was armed with a handgun and two ammunition magazines, the Associated Press reported, though a police spokeswoman would not confirm those details to The Washington Post. The killing sparked waves of protests throughout the city, with demonstrators shouting "murderer" and "no justice, no peace" through the night, the Chicago Sun-Times reported. In the Grand Crossing neighborhood of the predominantly black South Side, protesters clashed with officers carrying batons, leading to four arrests, the AP reported. Civilians hurled rocks and bottles at officers, with some suffering minor injuries. In another, a man tumbles to the ground as officers swing batons at the crowd. Issa reported that an officer shoved him to the ground and knocked his phone from his hand. Augustus was a barber who went by the nickname "Snoop," said Gloria Rainge, according to the Sun-Times. She told the paper that she saw the confrontation and said the officer told Augustus not to sell loose cigarettes. She said Augustus explained that he wasn't, the situation escalated, and he was shot as he was running away. "He was cool, laid-back, very intelligent," Rainge told the paper. The incident is being investigated by the Civilian Office of Police Accountability, an independent city agency. The Chicago Police Department directed additional questions to that office, which did not respond to a request for comment. Protests have been planned at 5 p.m. Sunday in South Shore, the Chicago Tribune reported, nearly 24 hours to the minute that Augustus was killed.